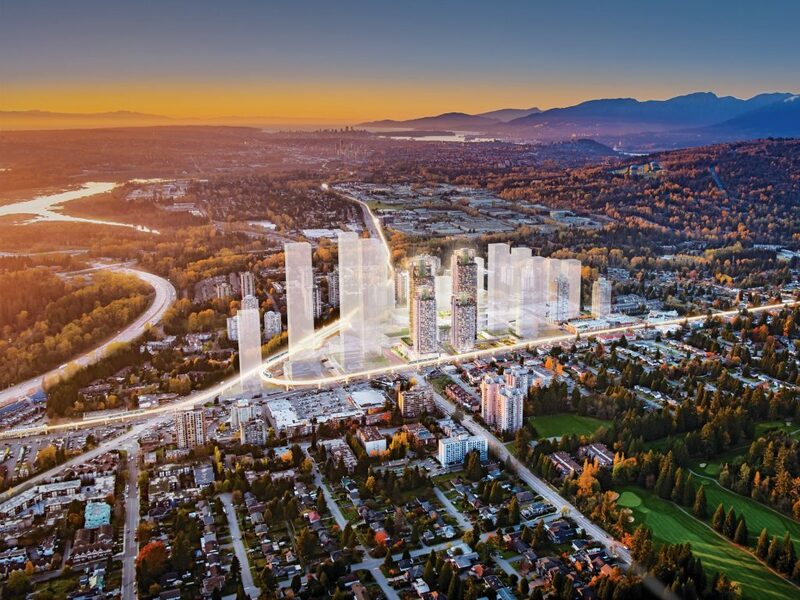 The transformation of Burnaby’s four major town centres continues, with a massive redevelopment called The City of Lougheed set to transform the existing Lougheed Town Centre mall. 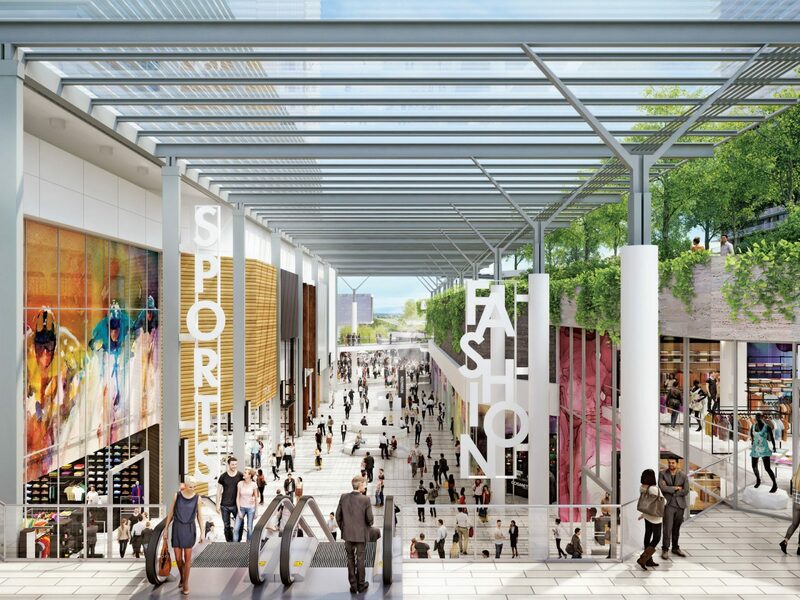 Shape Properties, the same company behind the redevelopment of Brentwood Town Centre, is planning to redevelop the existing 40 acre shopping centre site with 23 new high-rise residential towers, the first of which will be 55 storeys tall. 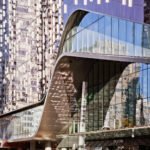 The redevelopment is Canada’s largest new master planned community, and second to only the Hudson Yards redevelopment in New York City. 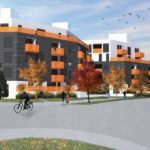 It’s not hard to see why the developer thinks now is the right time to capitalize on the property. 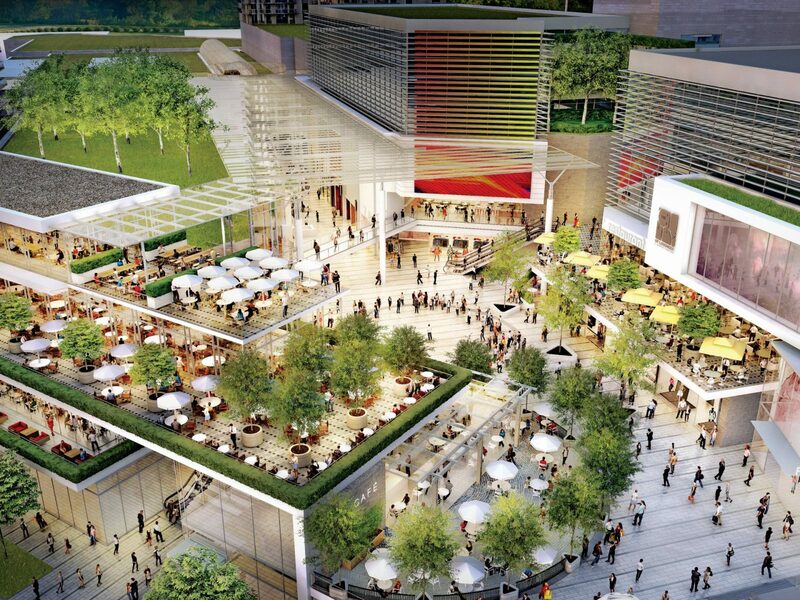 The existing mall is underperforming and is in need of reconfiguration. 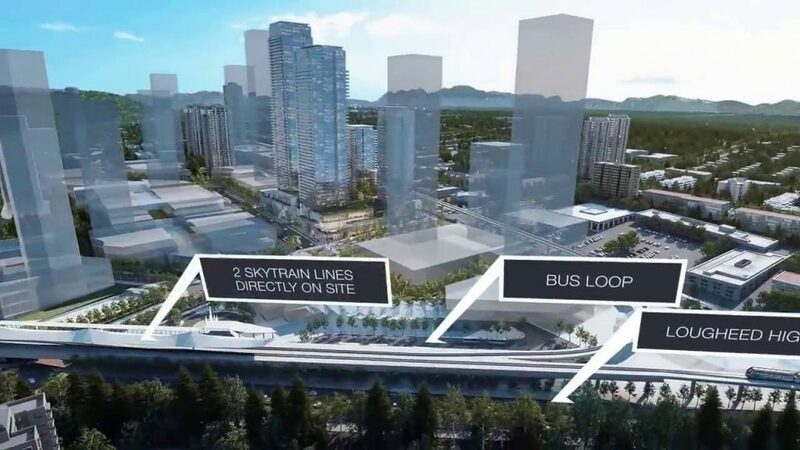 It’s also surrounded by rapid transit, with the recent opening of the new Evergreen Line making the property even more attractive to redevelopment. In fact, there already have been several new towers constructed farther down the new Evergreen Line in Port Moody and Coquitlam, and The City of Lougheed is even closer to downtown Vancouver – a major selling point. 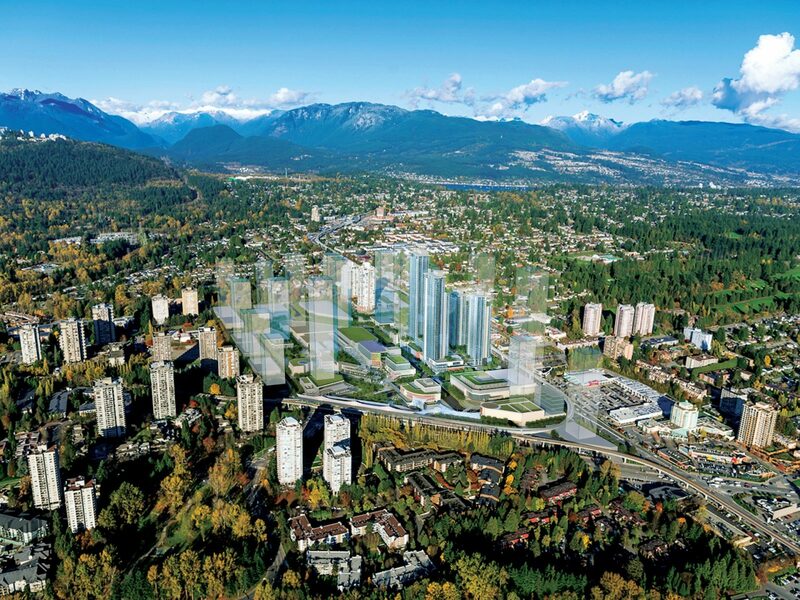 With building heights of 55 storeys, and possibly up to 70 storeys for future towers, views will be spectacular in all directions. 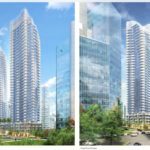 The first tower at The City of Lougheed, Tower One, began presales earlier this fall and sales are currently underway. 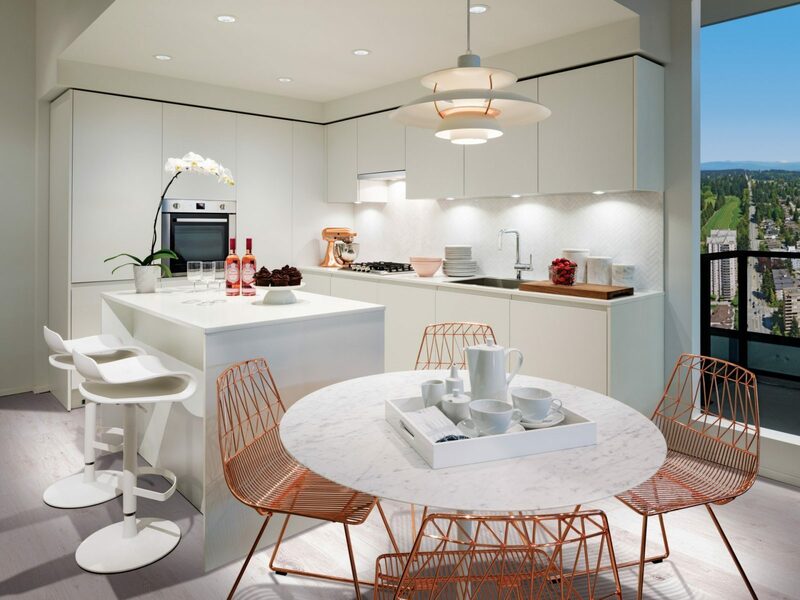 The 55 storey tower features over 550 one, two and three bedroom units starting at $329,900 for a one bedroom suite measuring 550 square feet. 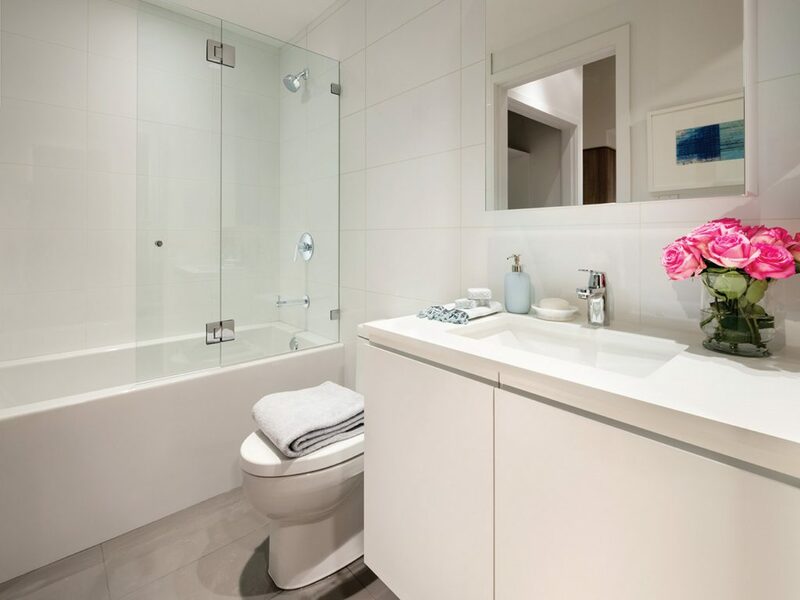 All homes include parking and storage, as well as central air conditioning and heating. 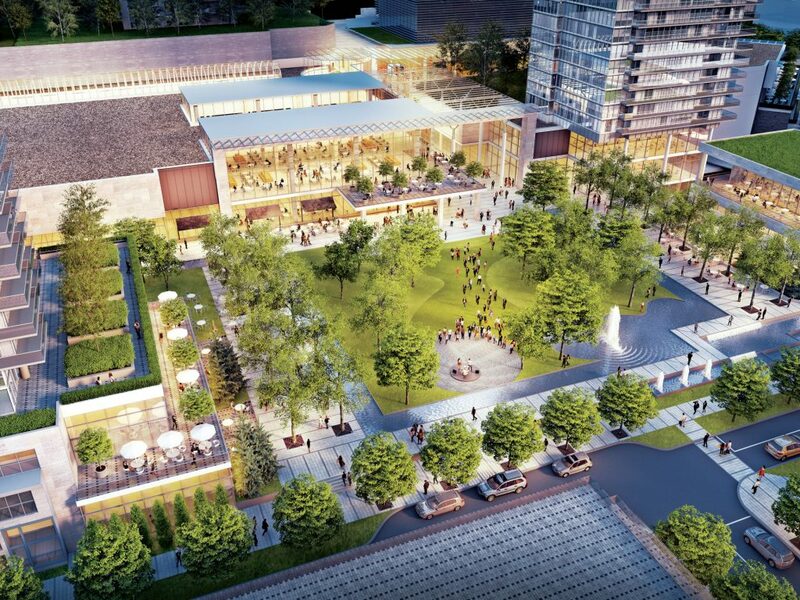 The building will feature an 18,000 square foot amenities area in the podium, with a fitness centre, yoga and pilates studio, study rooms, children’s play area, dog wash station, private kitchen, outdoor lounges and community garden plots. 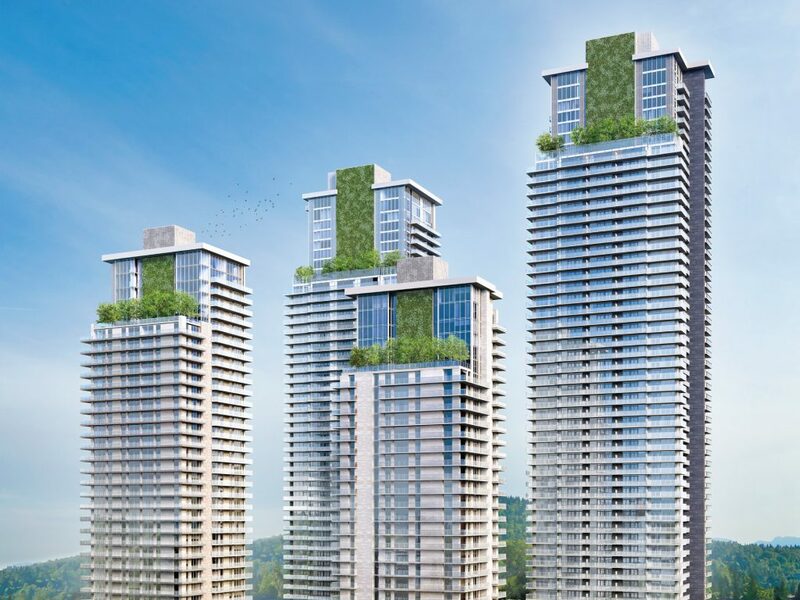 Towers Two and Three are both condo towers, and are expected to begin presales in 2017. 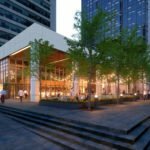 Tower Four will be a rental apartment tower. 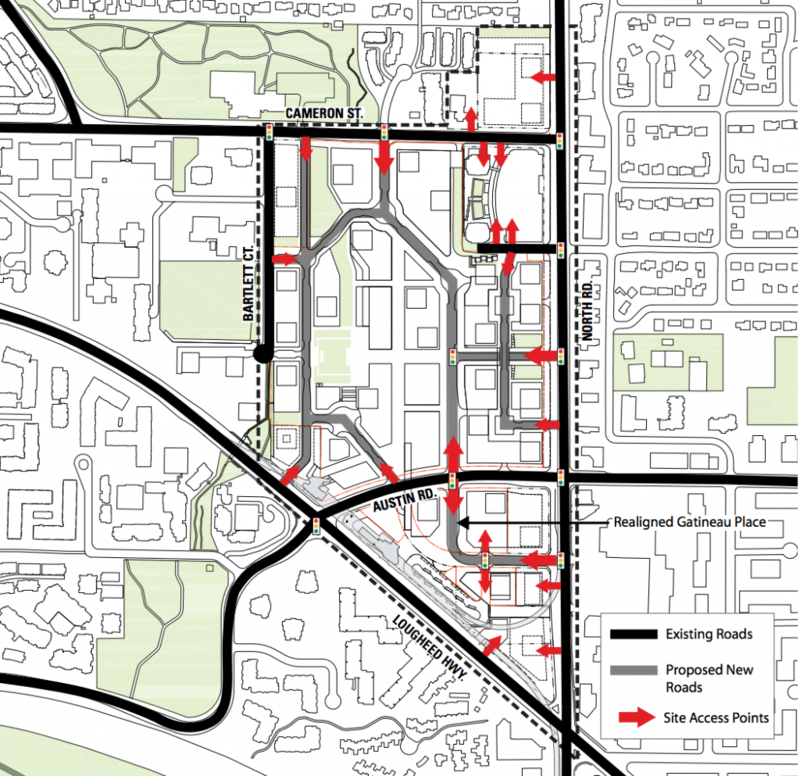 In 1997, the City of Burnaby adopted a Lougheed Town Centre Plan ahead of the opening of the Millennium SkyTrain line. 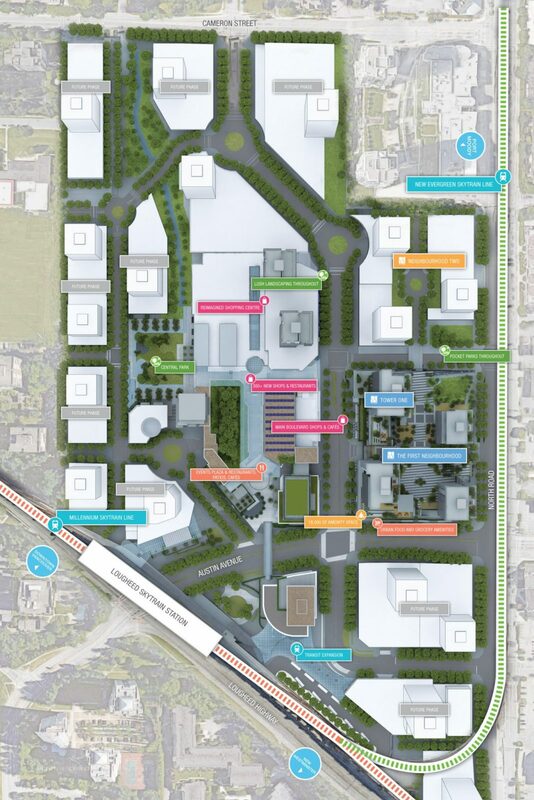 As part of The City of Lougheed redevelopment, the City of Burnaby is planning to create a new street network though the site, as well as new open plazas and public spaces. 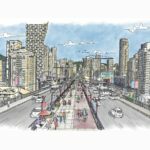 According to the city, the redevelopment will feature 4.5 kilometres of new pedestrian pathways, five kilometres of new cycling routes, and 3.5 kilometres of upgraded sidewalks. 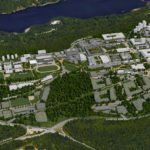 Once complete, over 10,000 people will call the area home. 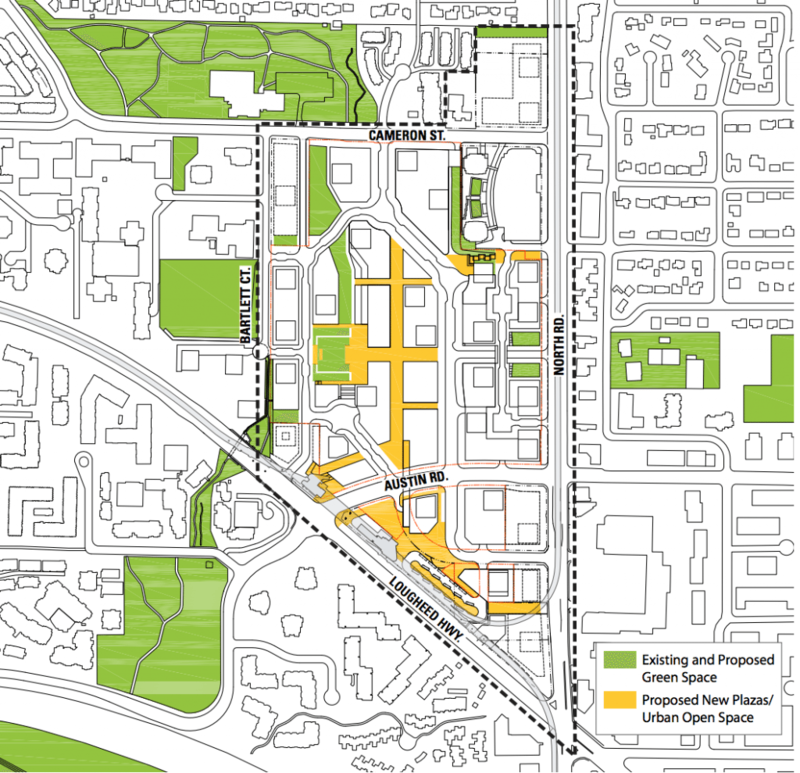 The original Lougheed Town Centre shopping mall opened in 1969, doubling in size after an expansion in 1986, and was extensively renovated in the early 2000s. Opening of the original mall in 1969. 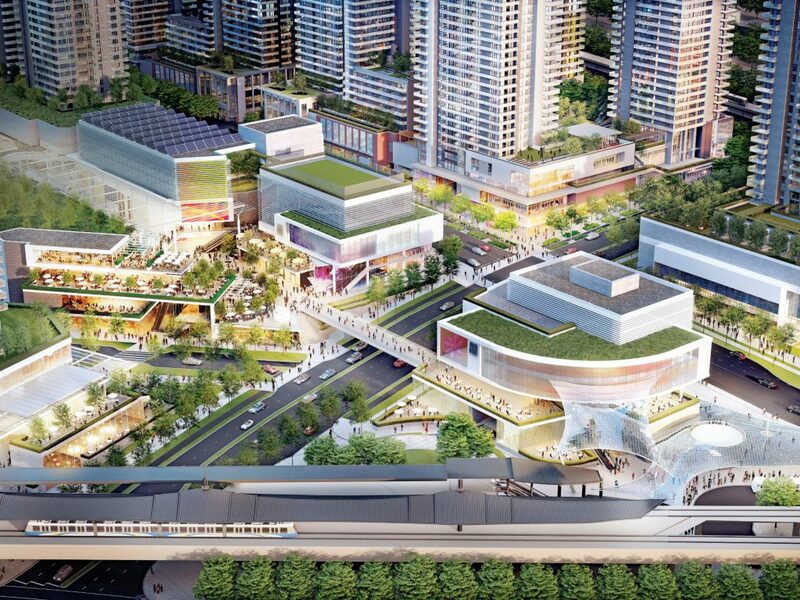 The new redeveloped shopping centre will feature over 300 retailers, in an open air and galleria format. 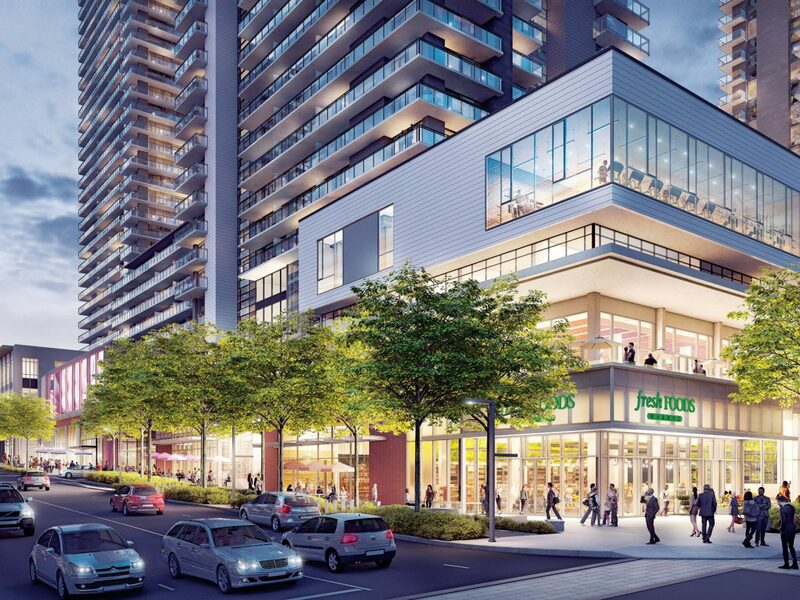 The existing Walmart, London Drugs and Hudson’s Bay anchors are expected to remain, albeit in newly constructed buildings.